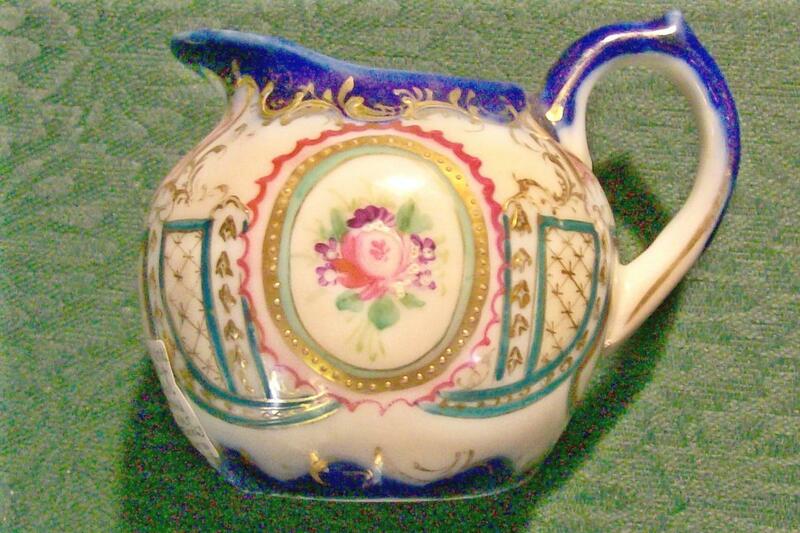 Cream pitcher with hand-painted decoration featuring a rose cameo on both sides, cobalt blue & gold trim. No mark, typical early 1900's Japan, or Nippon (if before 1921). Measures 3.25"h. No chips or cracks. Inglenook Antiques...Established 1989. 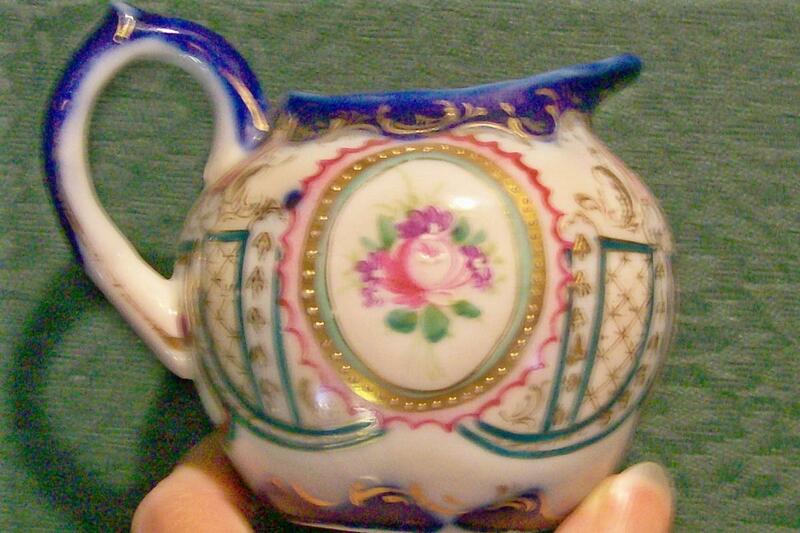 Items Similar To "Nippon/Japan Porcelain Creamer Hand-Painted Rose Cameo/Cobalt/Gol..."